Because of all…the..beautiful and new, things I’m learning about you, day-by-day! 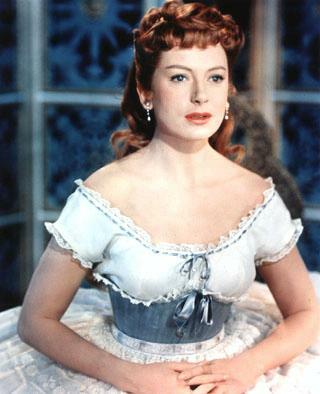 Does anyone else see Deborah Kerr dancing around her Siamese classroom singing to her school children in that over-the-top-hoop skirt? 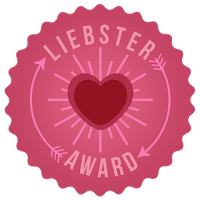 It was the first thing I thought of when I recieved this blog award, the Liebster Award. I would like to thank the academy for this award! Being nominated with so many amazing and long time bloggers just humbles me. I would also like to thank my husband who makes my blogging happen! I would like to thank my children, who hardly ever make blogging happen. My parents, I have wonderful parents, who never felt like they guided my hyperactive, creative self. See, we made it!!!! I play the violin, I was first chair in my high school orchestra, and you will NEVER hear me play because by the end of my senior year my stage fright was so bad I was throwing up before each concert and recital. It’s a very severe stage fright. I would still be a heavy smoker if it wasn’t for my husband. Without him, I really had no desire to quit that bad habit. My intense personality and hyperactivity made my mother change her mind about how many kids she wanted. Before I came along, she wanted 6. After I was born, she thought maybe just 2 would be ok. I pushed my husband into the Chaplaincy because I was desperate for some real income after 4 years of seminary, living on rice and beans. Ben was seriously considering a PhD right after his Masters. I am very thankful God gave me a super hero for a guardian angel in high school. I won’t go into all of it, but I did nearly kill myself being stupid over and over again. 1. What is year you accepted Jesus into your heart? 2. What was the turning point for you to accept Jesus in your heart? My mother knew I was running with the wrong crowd in high school and she wanted me to get some distnce from them. She introduced me to Teen Mission based out of Florida. I told her I would be willing to go on a mission trip as long as I didn’t have to tell anything about Jesus. She raised the support money for me and her prayers were answered. On a mountain top in La Azuleta, Venezuela I came face-to-face with my sinfulness and God saved me. 3. What is one thing you learned from 2012 and are taking it with into 2013? And we know that all things work together for good for those who love God, who are called according to His purpose. (Rom 8:26-28) For I know the plans I have for you, declares the Lord. Plans for welfare and not for evil, to give you a future and a hope. (Jer 29:11) After breaking my left forearm and crushing my wrist, I had to wait on His timing for His healing, and rely on others for all things. I also had to learn to trust that His will in my life was exactly what I needed, even if I couldn’t see it. 5. What are your hopes for your blog this year? I don’t have any lofty goals this year. 6. What’s your favorite Bible verse? 7. What’s your favorite story in the Bible? 8. What is your favorite home decor style? 9. How many children do you have, if any? I have 5 children: 4 boys and one girl. I do have one furr-baby who is stuck in KS. 10. What is your favorite color for this year in regards to fashion and or home? I have no fashion goals for the year. It’s one of the main reasons I love Alaska. Sweaters and sweatshirts are in. I would love to update my sweaters.